Wisconsin has one of the highest rates of drunk driving in the United States, but Jimmy Anderson, assembly candidate for District 47, is determined to fix that. Early voting is available at the UW campus, at the Student Activity Center and Union South. Volunteers are on the sites to help voters determine what documentation they need. As part of an initiative to help build partnerships with local community members, the West District Police Department invites locals to join them every Wednesday morning for Coffee with a Cop. November marks the Native American Heritage Month. 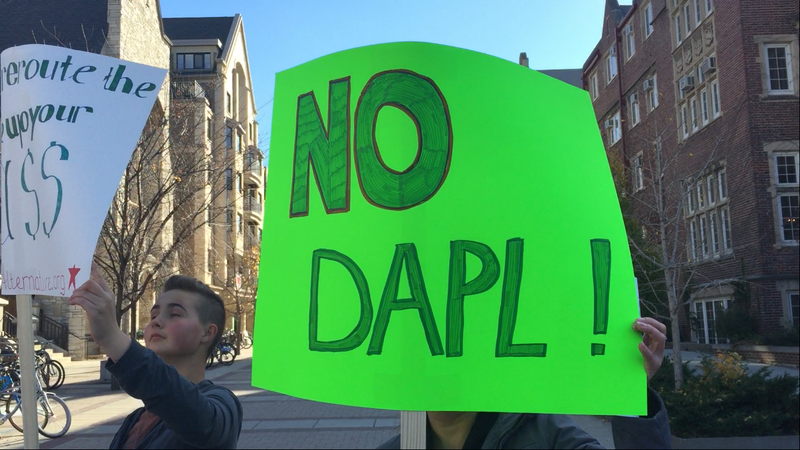 A racial justice symposium in Madison calls public attention to social justice for indigenous people. The Badger Report’s Kelly Wang has more on the story. With Oscar Mayer set to close its Madison doors, the Badger Report’s Ken Kosirowski sat down with some now-retired Oscar Mayer veterans to learn about the company’s glory days. READI stands for ‘Retired Employees Are Dedicated Individuals’. These former Oscar Meyer workers contribute their time to over 50 organizations each year. With the Madison plant is closing, the group’s future is now in question. The Badger Report’s Jamie Sheskey has more. State Representative Jim Ott (R – Mequon) has proposed multiple bills to increase penalties for OWI and DUI offenses in the past few weeks. With Wisconsin being the only state in the nation that does not provide criminal punishments for first-time offenders, there is room for improvement. The Badger Report’s Patricia Johnson has more on the story. Madison’s 29th annual Turkey Trot attracted an eclectic crowd of runners; each with a unique story to tell. The Badger Report’s Colleen Degnan has more on the story. After being banned from sleeping outside the Madison City-County Building, many homeless people have migrated to State Street and Library Mall area. The Badger Report’s Jordyn Silverstein has more on the story. We drink it everyday, but do we know what’s in it? The Badger Report’s Anthony DaBruzzi tells us what’s in Madison’s water and whether or not it could impact your health. Last Wednesday in Madison, workers went on a strike in demand of a higher minimum wage. The Badger Report’s Aimee Zhang has the story. Tony Robinson and police brutality were the main topics of discussion at the mayoral debate with Mayor Paul Soglin and Alderman Scott Resnick. The Badger Report’s Pamanisha Gross has the story. The investigation into the death of 19 year-old Tony Robinson continues this week, but for many in the community, taking time to honor his life is more important. The Badger Report’s Erin Ovadal has the story. The William Street community continues to mourn the death of 19 year-old Tony Robinson as the State of Wisconsin’s Division of Criminal Investigation processes the evidence. The Badger Report’s Erin Ovadal has the story. The struggle to provide for Madison’s 777 homeless individuals is just beginning. Many end up sleeping outside during the cold winter months. The Badger Report’s Brett Bachman has the story. Madison has recently been receiving criticism about how it handles incarceration. The Badger Report’s Madalyn O’Neill spoke with MOSES’ Jail Task Force Chair, Ann Pooler and Dane County Sheriff Dave Mahoney about MOSES and incarceration in Dane County. The closing of the Verona Road Walgreens location is leaving residents of the Allied Drive neighborhood with nowhere to shop for local groceries. Each year the American Farm Bureau Federation averages the cost of a traditional holiday dinner. The Badger Report’s Grant Hermes did some shopping and the result isn’t what you’d expect. One group of ladies at Memorial Library uses their lunch hour to knit clothes and blankets for those in need. The Badger Report’s Connor Smith was there with the story.